The next set of free games have been announced for those not preoccupied with some of the new releases of the month. As always the Xbox One games are yours to keep as long as you have an active Gold membership, while the 360 games are yours even if you drop to Silver status. Both 360 titles are available on Xbox One via the backwards compatibility program. Starting off the month is Battlefield 1. The most recent title in the popular shooter series puts you in the middle of World War 1 through four different war story campaigns and large scale multiplayer combat. The second half of the month will feature Race the Sun. This is a fast paced platformer where you must avoid obstacles as you speed through a long and difficult course. Experience the dawn of all-out war only in Battlefield™ 1. Fight your way through epic battles ranging from tight urban combat in a besieged French city to the heavily defended mountain forts in the Italian Alps or frantic combats in the deserts of Arabia. Discover a world at war through an adventure-filled campaign, or join in epic multiplayer battles with up to 64 players, and adapt your tactics to the earth-shattering destruction and dynamic weather. Fight as infantry, lead horse charges or take control of amazing vehicles on land, air and sea, from tanks and biplanes to the gigantic Behemoths – some of the largest vehicles in Battlefield history. 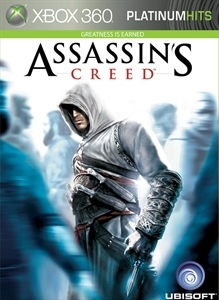 360 players will start the month with the original Assassin’s Creed. Join Altair on his quest to find the Apple of Eden and defeat the Templar threat to his land. 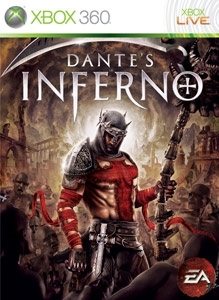 Closing out the month will be Dante’s Inferno. A hack and slash title that may seem similar to Dark Souls, which hadn’t yet released at the time.